Saturday night on planet Earth was marked with spectacular phenomenon – an unusually large and bright moon crossing the skies. 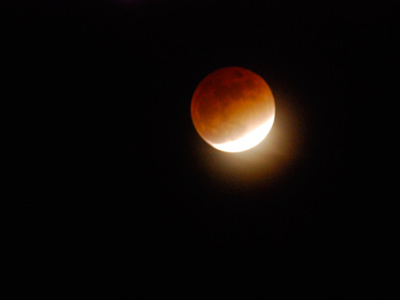 For those whose vision was not obscured with clouds it became a truly memorable event. 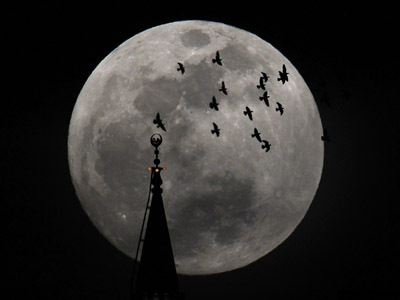 ­The recently-coined term ‘Supermoon’ describes a situation when the moon is passing Earth at the closest point its elliptic orbit – the perigee. The farthest sector of lunar elliptic orbit is called the apogee. When in perigee, moon is a “mere” 356,955 kilometers away from us. 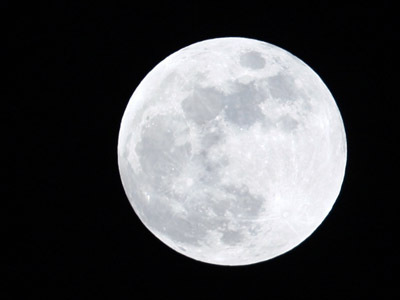 At this distance, Earth’s only natural satellite is 14 per cent larger and 16 per cent brighter than an average full moon we usually observe. In apogee the moon is 406,450 kilometers from Earth. This means in perigee the moon gets closer to us by 49,495 km, which is nothing by space scale, but still considerably longer than the length of our planet’s equator. In 2012, the Supermoon coincided with the annual Eta Aquarid meteor shower peak and outshone this also very spectacular celestial event. Probably because of the atmospheric lensing effect, the moon looks bigger when it is closer to the horizon. 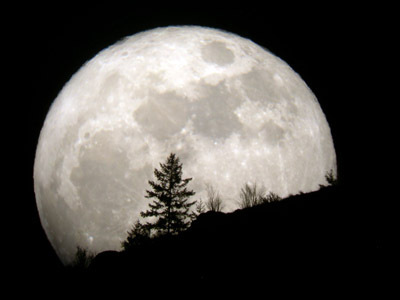 Still, it is not as big as on the photos of experienced photographers who use telephoto lenses or telescopes to magnify tremendously the size of the natural satellite, making it looming in a sci-fi manner over chosen landscape. Do not cherish an illusion that one day you will see anything similar for real – the naked eye always sees the moon the same way.